Sentiment is currently on the EMs side, says TreasuryONE. The rand closed at R14.03 to the greenback on Tuesday afternoon. The day's range was between R14.01 and R14.14. "We have seen the US dollar on the back foot as well as other EM peers stronger during the day. Sentiment is currently on the EMs side," said TreasuryONE in a note earlier. The world economy will grow 3.3% this year, down from the 3.5% the IMF had forecast for 2019 in January, the fund said Tuesday in its latest World Economic Outlook. The 2019 growth rate would be the weakest since 2009, when the world economy shrank. It’s the third time the IMF has downgraded its outlook in six months. The global volume of trade in goods and services will increase 3.4% this year, weaker than the 3.8% gain in 2018 but reduced from the IMF’s January estimate of 4%, the fund’s report showed. Global economic growth will recover in the second half of this year, before plateauing at 3.6% from next year, according to the Washington-based fund. A series of encouraging developments have boosted optimism about the world economy in recent weeks, including the decision of the Federal Reserve to put interest-rate hikes on hold and encouraging data from China’s manufacturing sector and the US job market. Still, the IMF is warning that risks are skewed to the downside, with a range of threats menacing the global economy, including the possible collapse of negotiations between the US and China to end their trade war, and the departure of Britain from the European Union without a transition agreement, known as the “no-deal” Brexit scenario. “Amid waning global growth momentum and limited policy space to combat downturns, avoiding policy missteps that could harm economic activity needs to be the main priority,” the IMF said. IMF Managing Director Christine Lagarde is warning that the world economy faces a “delicate moment” as finance ministers and central bankers prepare to gather in the US capital this week for the spring meetings of the IMF and World Bank. While intense trade talks between the US and China have raised expectations of a lasting truce between the world’s two-largest economies, analysts remain worried about the strength of the global economy, a decade after the financial crisis. Lagarde said last week the fund doesn’t anticipate a recession in the near-term. The fund cut its forecast for US growth to 2.3% this year, down 0.2 percentage point since the IMF’s last global outlook in January. The downgrade reflects the impact of the partial government shutdown that ended in January, as well as lower-than-expected public spending. The fund upgraded its US forecast next year to 1.9%, up 0.1 percentage point, on the Fed’s shift to a more patient stance on interest rates. The IMF slashed its outlook for the euro area to 1.3% this year, down 0.3 point from three months ago. Growth is expected to be softer in several major European economies, including Germany, where weak global demand and tougher car-emission standards have hit factory production. Weak domestic demand and high sovereign-debt spreads have dimmed Italy’s outlook, while street protests in France weighed on growth, the fund said. OVERVIEW: European shares gained and US equity futures pared losses as investors appeared to shrug off threats from President Donald Trump for new tariffs on goods produced in the EU. Treasuries steadied alongside the dollar. The Stoxx Europe 600 Index climbed on below-average volume, with banks driving gains after Societe Generale said it planned to cut about 1 600 jobs in an effort to boost profits. Contracts on the Dow, S&P 500 and Nasdaq came off their lows but still pointed to a muted open, while most Asian indexes climbed. The pound strengthened ahead of a meeting between UK Prime Minister Theresa May and key European leaders on Brexit. The euro edged higher along with most of the region’s bonds. Investors were reminded of the threats to international trade as Trump proposed tariffs on a hodgepodge of European products from passenger helicopters to cheese and ski-suits, just as the global powers are set to begin negotiating a deal. Focus also remains on the prospects for a conclusion in talks between the US and China, as well as key events this week, including American inflation data, a European Central Bank decision and May’s meeting with EU leaders. Elsewhere, Saudi Aramco, the world’s largest oil company, received $85 billion in orders for its debut bond sale, kickstarting an offering with yields likely to fall in line with or below Saudi Arabia’s sovereign debt. Crude held near a five-month high as an escalation of fighting in OPEC producer Libya overshadowed an increase in US rigs. Israel’s stocks climbed with the shekel as elections were held. Emerging market currencies and shares gained. The Stoxx Europe 600 Index gained 0.4% as of 10:50 London time, the highest in eight months. Futures on the S&P 500 Index fell 0.1%. The MSCI Asia Pacific Index increased 0.4% to the highest in about six months. The MSCI Emerging Market Index rose 0.6%, reaching the highest in almost 10 months. The Bloomberg Dollar Spot Index decreased less than 0.05% to the lowest in two weeks. The euro increased 0.1% to $1.1272, the strongest in more than two weeks. The Japanese yen advanced 0.2% to 111.29 per dollar, the strongest in more than a week. The British pound gained 0.1% to $1.3077. The MSCI Emerging Markets Currency Index jumped 0.3%. The yield on 10-year Treasuries declined one basis point to 2.51%. Germany’s 10-year yield dipped one basis point to 0.00%. Britain’s 10-year yield decreased less than one basis point to 1.112%. The spread of Italy’s 10-year bonds over Germany’s fell two basis points to 2.4584 percentage points to the narrowest in almost three weeks. Bianca Botes, Corporate Treasury Manager at Peregrine Treasury Solutions says emerging markets have strengthened as a strong oil price and a subdued dollar assists the underlying currencies. By 09:56, the rand was trading at R14.04 to the greenback. "With April 12 around the corner, the UK is still no closer to having a deal on the table for Brexit. "A light data calendar sees the US JOLTs job opening data due out later today. "The ZAR’s technical range for today is R14.08 to R14.15 against the greenback." Stocks traded mixed Tuesday in Asia after the threat of new tariffs on European goods from President Donald Trump damped risk appetite. Treasuries steadied alongside the dollar. Shares slipped in Japan, fluctuated in China, Hong Kong and Korea, and closed little changed in Australia. European futures ticked lower with S&P 500 Index futures after the benchmark eked out a gain in thin volumes Monday, rising to just over a percent from its all-time high. Liquidity was thin, with volumes across Asian equity markets below 30-day averages, and volatility in major currencies slumping as traders reduced risk ahead of key events this week including US inflation data, a European Central Bank decision and UK Prime Minister Theresa May’s meeting with European leaders. 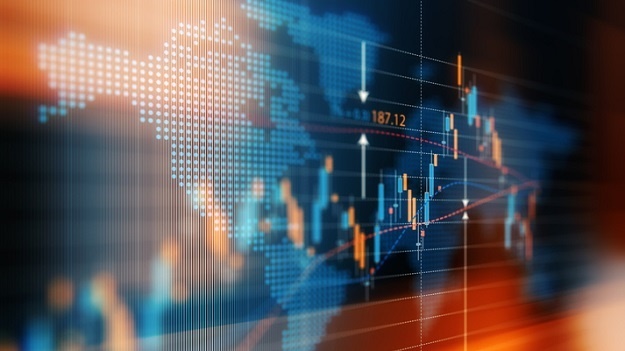 Following a stellar first quarter across many asset classes, investors are assessing prospects for further gains as the US and China seek to come to a final agreement on trade and earnings season gets underway. The threat of new tariffs on Europe comes just as the European Union’s members are in the final stages of negotiating the terms of a mandate for the European Commission to begin talks on industrial tariffs with Washington. Trump’s administration is proposing tariffs on new passenger helicopters, various cheeses and wines, ski-suits and certain motorcycles in response to harm the US says is being caused by EU subsidies to Boeing rival Airbus. Elsewhere, Saudi Aramco, the world’s largest oil company, has received $75 billion in orders for its debut bond sale, kickstarting an offering with yields likely to fall in line with or below Saudi Arabia’s sovereign debt.